Water rights have been granted to protect aquatic life in Vallecito Creek, which feeds into Vallecito Reservoir. Water rights have been secured to protect fish and other aquatic life on a stretch of Vallecito Creek, northeast of Durango. The Division Seven Water Court last week issued a decree to the Colorado Water Conservation Board for an “instream flow water right” for this purpose, said Kelly Palmer, water and air program manager for the San Juan National Forest. The water court’s ruling, essentially, keeps water in the river for the sole purpose of preserving the natural environment, Palmer said. 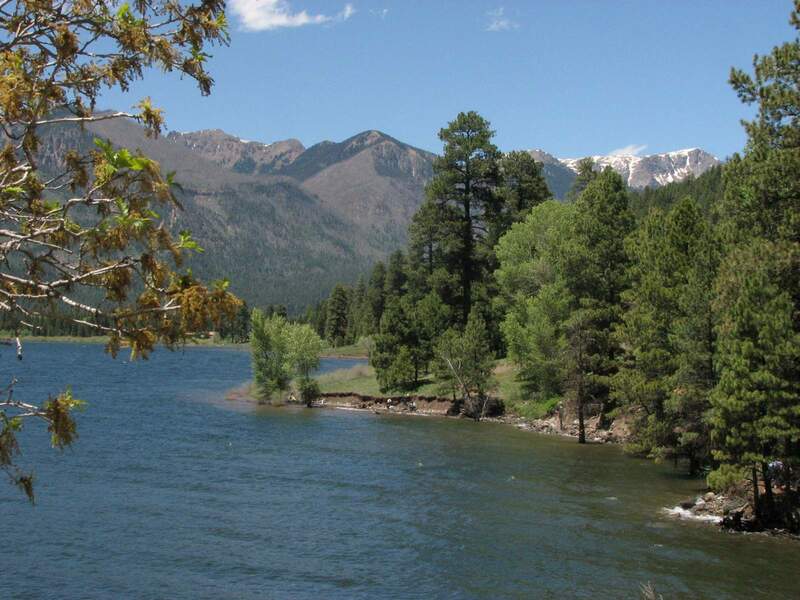 This particular water right applies to a stretch of Vallecito Creek – above Vallecito Reservoir – from the start of the Weminuche Wilderness down to the Forest Service boundary below Vallecito Campground. Three years in the making, the section of river was selected to protect the habitat of self-sustaining populations of brook, brown, rainbow and hybridized cutthroat trout, Palmer said. The new Vallecito instream flow water right is junior to all water rights filed in previous years on the river. It is senior only to a water right filed after it. With the acquired water right, Vallecito Creek is protected against future development that may take water out of the creek. “There’s always somebody applying for new water rights, all the time,” she said. Calls to the Colorado Water Conservation Board were not returned Friday. In the 1970s, with growing public concern about waterways drying up because of overuse, the Colorado Water Conservation Board created the “instream flow program” to acquire water rights to keep water in rivers. Since then, the program has contributed to preserving more than 9,700 miles of streams and 480 natural lakes in the state. The Colorado Water Conservation Board generally has two ways of accomplishing this: acquiring existing water rights or applying for a new water right. For Vallecito Creek, it took three years of analyzing aquatic life and natural stream flows. Palmer said this was the first time in this area the Forest Service collaborated in the process. The water rights on Vallecito Creek are set up to reflect natural flows, rising during spring and summer to mimic peak snow runoff and ramping down in fall and winter, a time of usual low flow. Palmer said she’s confident the water right is enough flow to support aquatic life. Applying for instream flows on Vallecito Creek was a good introduction into the program for the Forest Service, Palmer said, because there was little controversy because there were no pre-existing water rights. Palmer said the Colorado Water Conservation Board holds a number of instream flow water rights for the waterways around Southwest Colorado. The water court also considered a right on Sand Creek, a tributary of the Piedra River. jromeo@durangoherald.comAn earlier version of this story erred in saying the instream flow water right is the first on Vallecito Creek, and therefore the most senior. There are other downstream users with water rights who have senior rights.